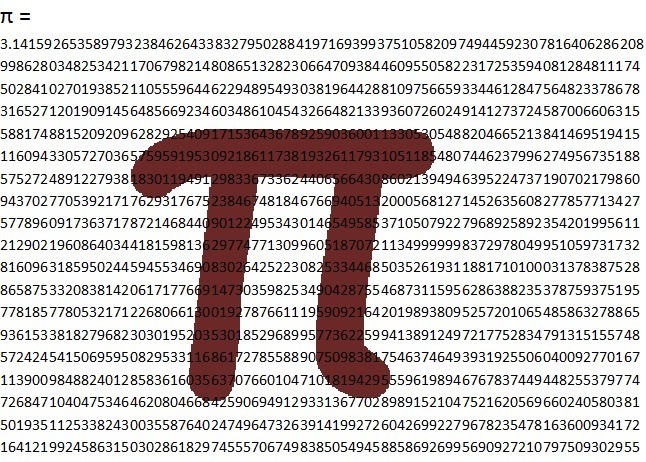 March 14 (03/14) is celebrated as Pi (π) day by mathematician scholars and enthusiasts around the world because 3, 1 and 4 are the first three significant digits in the value of Pi. The number Pi is defined as ratio of circumference of circle to its diameter and is a constant number. In other words you measure the circumference of the circle and divide it by its diameter to get the value of Pi and this holds true for circles of any radius or diameter. For centuries the number π aka Pi has been the center of attention and fascination by mathematician and scholars. Ancient Greek mathematician and scientists, Archimedes (287 – 312 BC) is credited with first to approximate value of Pi. He used the 96 sided polygon to come up with approximate value of Pi lay between 31⁄7 (approximately 3.1429) and 310⁄71 (approximately 3.1408), consistent with its actual value of approximately 3.1416. Archimedes also proved that area of circle was Pi multiplied by the square of radius ( A = πr²). In 18th century Greeks gave the Pi its famous symbol (π).